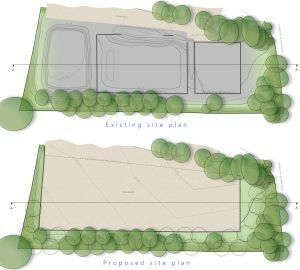 Winchester City Council (and Hampshire County Council): This complex major project has been ongoing for much of 2013 but Pure Town Planning has just secured the final planning approval for the scheme. 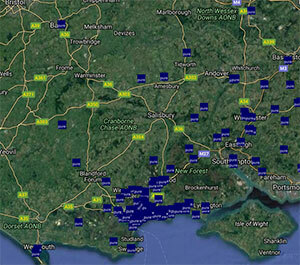 The client is a specialist haulage firm based on a countryside site near Micheldever. 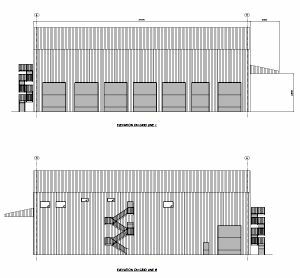 The initial phase of the proposal was obtain planning consent to pull down a series of old brick buildings and erect a huge purpose-built HGV workshop with six full-size HGV lanes including a drive-through VOSA Approved Testing Facility (ATF) lane. Above the workshop floor is a mezzanine storage level and then a further floor of training rooms. This major application went through Winchester City Council relatively smoothly with just a little negotiation on highways. Despite the large size (especially the 14.4m ridge height), Pure Town Planning were able to demonstrate with a detailed visual impact assessment that actually the building would have very little visibility in the surrounding landscape. The second phase of the project involved the infilling of three large empty lagoons on the site (used in the past for agricultural fertilizer storage) with inert waste partly from the demolition on site and partly imported. This part was important to create a large concrete hardstanding area to give the company operational space whilst the build was undertaken. This application was deemed waste development and therefore the application was made to Hampshire County Council as the minerals and waste authority for the area. One of the issues here was concern about land contamination from past use. Fortunately we were able to dig out sufficient historic technical information to alleviate any concerns and therefore avoid our client having to carry out expensive new investigative ground studies. If you are considering a commercial development, large or small, which will take your business forward next year then why not contact Pure Town Planning to seek our expert planning advice?